Chaosium seems to have jumped into the Kickstarter paradigm pretty wholeheartedly. For an established company like Chaosium, does that come with any risks to the established distribution channels and do the benefits outnumber the risks? We have not jumped in wholeheartedly at all. Our current Kickstarter is only our second campaign and we have a third planned for the future, but Kickstarter is another way for us to publish our books. Usually we must print a book, convince a distributor to carry it, who then convinces a retail store to buy it, who sells it to our fans. With Kickstarter we reverse the flow of interest; we directly interact with our customers who end up with a book they want. Their energy and excitement then flows to the store owner and up to the distributor. Do you worry that you might be taking some of the audience from gaming stores with a successful Kickstarter? If enough of your existing audience is buying the game directly from Chaosium, where does that leave the stores? Of course. There have been similar worries throughout the history of roleplaying and in many other industries. After MAGIC was released, many distributors worried that WOTC would go direct to the retailers. Similar worries accompany the proliferation of downloadable books vs. print books. Wise stores do what successful stores have always done: focus on customer service and product knowledge. Also, the potential market for a product is not defined by the whole of the Kickstarter audience. In the end, both we and the customers build a better product that will eventually hit the "normal" distribution chain, and should be more attractive to all customers. What sorts of changes to their approaches to publishing does a company like Chaosium face when dealing with something like Kickstarter? Have there been speedbumps in the process for you guys, and if so what have they been? Kickstarter result in changes and improvements to a project. Having published roleplaying games and supplements for many years, we understand that these are complex projects. For example, our BEYOND THE MOUNTAINS OF MADNESS campaign was the result of ten years of effort. There always are speed bumps, and I think that is where your skill comes into play--mitigating the delaying effects of such bumps. Call of Cthulhu is one of the oldest tabletop RPGs that have been in continuous publication. Most of the contemporaries in RPG publishing for Chaosium have either faded away, changed hands or disappeared completely. A lot of people are asking why a game like this has to change. What do you say to those questions? For a product such as a roleplaying game to survive for more than 30 years in this marketplace it needs to be refreshed occasionally. It has been almost 12 years since the last edition of Call of Cthulhu was published. The new edition streamlines some of the combat rules and opposition rolls. What are some of the changes that have been made to the game for this new edition? Can you also explain some of the reasons behind why these changes have been made? As always, our primary consideration is telling a good story and having fun. We try to keep our rules intuitive and out-of-the-way of the Keeper's narrative. We noticed that the system occasionally results in "no-effect" combat rounds; so we tried to smooth combat just a bit. We extended the use of some mechanics already used in the game, making them more consistently-applied. Besides a successful Kickstarer, what would make a game like Call of Cthulhu of interest to newer gamers? When the game first came out, there wasn't much in the way of horror gaming but now there is a lot more competition in the market. What sets this new edition apart from other games out there? Call of Cthulhu is, first and foremost, a game in which ordinary people are thrust into extraordinary, and sanity-threatening, situations. The thrill comes from seeing if your character, lacking the powers, magic, and armor of (essentially) super-hero knights and wizards, can prevail against superhuman enemies. Lacking the accoutrements of the high-powered roleplaying systems, your sense of achievement is the greater should your characters prevail. I think this results in a more memorable, and satisfying, roleplaying experience. You have set a tight window for publishing the new edition. Do you have any worries that you will be late? Yeah, it is tight. I had hoped to begin it a month or two ago but life events intervened. I always worry that books will be late, but the rules have been written and in revision for more than a year, so we have been working up to this point. What we need to know is the final shape of the books. It is fun to work with the fans, to learn what is important and fun for them, and to try to surprise them in the end. Besides, what would be a better release day than Halloween? From a list of nominations that included traditional board-games, card-games, miniatures games and role-playing games, as well as events, books about games and gaming, and for the first time a PhD thesis, the secretive committee of the Diana Jones Award has built a shortlist of five items that it believes best exemplify ‘excellence’ in the field of hobby-gaming. Organised by Double Exposure, Inc. The winner of this year’s award will be announced and the Diana Jones trophy will be presented at the annual Diana Jones Party, which will be held at the Cadillac Ranch, 39 West Jackson Place, Indianapolis, at 9pm on August 14th – the night before the Gen Con games convention opens to the public. All games-industry professionals are invited to attend. 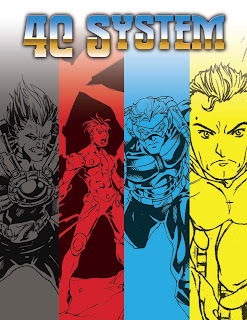 I've put up a page with the 4C System rules, here on the blog. If you've never checked these out, this was an early retroclone (of a certain popular Marvelous role-playing game) that had the misfortune of coming about before people really accepted and understood what retroclones really were. Much like OSRIC, 4C was intended to be a way to allow publishers (and fans!) to make new material that would be compatible with the old game. The game, while complete and playable, is a bit dry and barebones. One of my goals has been to do a cleaned up new edition of these rules that expand these basics, give plenty of examples and even have some sample characters included. Basically build out and demonstrate what can be done with the basics. For now, enjoy the SRD for the game. The text of it has been released into the public domain by it's creator, so you can do with it what you will. If you're so inclined, you can also find some cool stuff made by small press publishers for the system over at RPGNow.com. This week's season finale of Doctor Who was a lead-in to the upcoming 50th Anniversary Special. And it had to do with a visit to the final resting point of The Doctor. Recently I decided to embark upon a return journey through the Eighth Doctor Adventures published by BBC Books during that horrible period of time when there was no Doctor Who on television, and the only way that we could experience The Doctor's adventures was through (to many) the non-canonical novels and audio dramas. 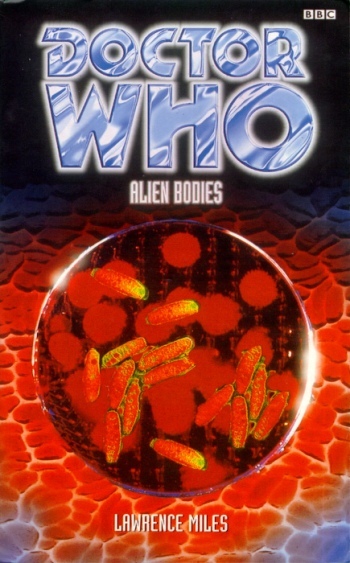 I decided to start this journey with Lawrence Miles' Alien Bodies (mostly because I am a not so closet fan of his Faction Paradox concept). The parallels between this novel and the season finale are interesting (and I am pretty sure coincidental). I should warn that there might be spoilers in this, but I think that spoilers have a statute of limitations...and 16 years is more than enough time for everyone to catch up on the book. If you don't want to see any spoilers of the novel, don't go past the jump. I spoke with White Wolf Developer/Designer C.A. Suleiman on the Dorkland! Roundtable. We talked about his time in the gaming business, working for companies like Wizards of the Coast and Green Ronin on projects like Eberron and Hamunaptra. We talked about his recent work for White Wolf on the Mummy RPG as well as his music. In the 90s, back in the dark ages of Doctor Who fandom when the show itself was on a razor-thin path that lead eventually to the cancellation of the program, Virgin Books was doing licensed Doctor Who novels. I am not really a huge fan of licensed tie-in novels, I think that (at best) you have to consider them to be in some sort of weird parallel universe where the characters are almost but not quite the characters that you are used to in your movies or TV programs. With Doctor Who, I think this is an easier pill to swallow because there's already parallel universes that are part of the setting. The Virgin Books period is marked by quirky and inventive storylines that advanced the story of the (then current) Seventh Doctor. Not as quirky as the BBC Books fiction that would follow (the Eighth Doctor Adventures in particular fleshed out a character that only received one appearance on our TV screens). But during this period, the people at Virgin Books decided to try their hand at a role-playing game set in the Doctor Who universe that they could sell side-by-side with their novels. It was a great idea that, unfortunately, fell short in a few ways. They didn't really market the book as being an RPG, and since it looked like the novels in their trade dress, some bought this and didn't really know what to do with it, since it wasn't actually a novel. The game also wasn't distributed to hobby stores, so gaming fans of the show weren't really exposed to it either. I picked up my copy one year at Origins. I've run it a few times, in the distant past, and while it has some quirky features it was a fun game to play and run. Intended as an entry level game, the rules do a very good job of explaining themselves and introducing the concepts of role-playing to those who might not know what it is. The rules themselves are fairly simple, with resolution being based around a 2d6 roll (where the lower of the two dice is subtracted from the higher to get a result that is compared to the difficulty). In the original rules, character creation was minimal preferring an approach where the players play the characters from the show. Seeing as how this was intended primarily for fan of the show I can understand this approach. This is not to say that there was no character creation rules in the game, just that they were perfunctory and not very good. In the free PDF release (linked below) the authors tried to make this option more robust, having learned from talk with players of the game that no one liked the character generation rules. The game does have an extensive list of writeups of Doctors, Companions, aliens and varies nemesis of the Doctor from the first seven regenerations. It does have the advantage of being written during the period when Doctor Who was off the air, so their writeups weren't going to be contradicted by the show. It is an interesting snapshot of the Classic Doctor Who show in this regard. After Virgin Books lost their Doctor Who license, the game went out of print. No supplements were every published (and as far as I can tell none were ever actually planned). Outside of the current (at the time of this post) Doctor Who game put out by Cubicle 7, this is my only real experience with Doctor Who role-playing, and probably my favorite of these two. While the current Doctor Who game definitely reflects the New Who era, I think that Time Lord is an accurate reflection of Classic era in RPG form. 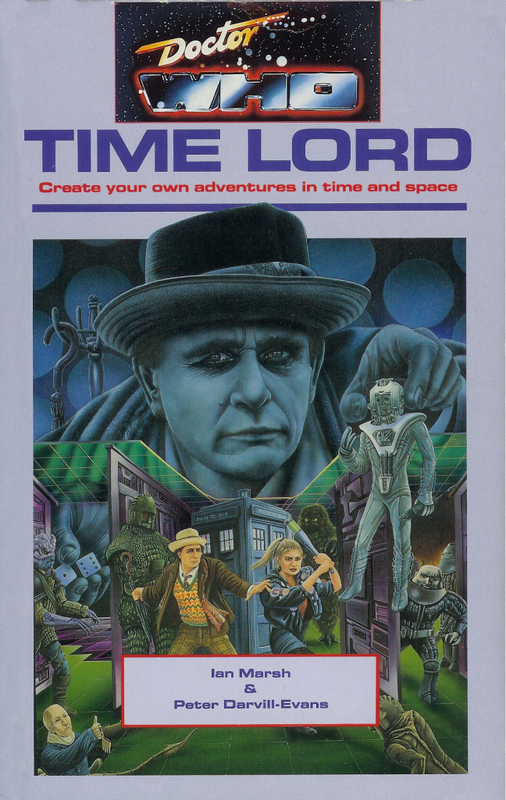 The original authors (with permission of the BBC) put the Time Lord game out on the internet as a free PDF, back in the mid-90s, and it still floats around out there today. Below I've included links to the PDF of the game, along with two fan-produced supplements that expanded and explained some of the rules a bit better. Check these out, and I hope that you enjoy them. Time Lord: This is the basic game, as originally published by Virgin Books. The PDF is a no art version, since the authors didn't have permission to reproduce the art from the game. Time Lord Companion: Originally produced as a text file (yeah, welcome to the old days of the internet), this was eventually turned into a PDF. This has some expanded character creation options, and some character writeups and rule expansions. Time Lord Journies: (Yeah, I know but that's how it was spelled.) This supplement built on the Time Lord Companion and added a number of new character creation options as well. There are also a number of rules clarifications and expansions, from the viewpoint of the author of this fan supplement. All three of these files are saved up on my Google Drive, so hopefully there shouldn't be any downloading issues. If there are, all that I can say is wait and try again in a bit. It is a free service, so there are bound to be bandwidth limitations at times. If this post causes you to run games with Time Lord, let me know.leave a comment here or say something about it to me on Twitter or Google+. I want to hear more about your Time Lord games. From Monday, May 13 - Sunday, May 19, DriveThruRPG is going to be running an OSR-related promotion. For this week 10 of the site's best selling old school games will be eligible for an additional 15% savings with the coupon OSRF711F2. This coupon is only good for one week and only on the products listed here. There are some good games to be found on that list. I can recommend Crypts & Things (a Swords & Wizardry variant) and Spellcraft & Swordplay (an excellent old school styled game from Jason Vey. If you don't have either of these games on your gaming pile, you really should. I don't think that I have to suggest picking up the original D&D Basic Rules to anyone. I spoke with +Patrick Kapera of Crafy Games about many things on the Dorkland! Roundtable. We discussed the history of the development of Spycraft, how that lead to Fantasy Craft and how designers who'd made a book as big as Spycraft 2.0 could then do something as small as the Mistborn Adventure Game. It was a good talk, and it gave some interesting insights into Patrick's and Crafty's processes, as well as looking at how they approach the development of a new RPG. We had a slight technical glitch at one point, so just bear with us at that point. I received a copy of the zine-formated module The Mini Manor from +Tim Shorts of GM Games, and promptly forgot that I had intended to blog about it. The picture to the right is one that I took of the cover of the 20 page long, 5.5" x 4.23" inch booklet. Don't let the size fool you because there is a lot packed into the small package. 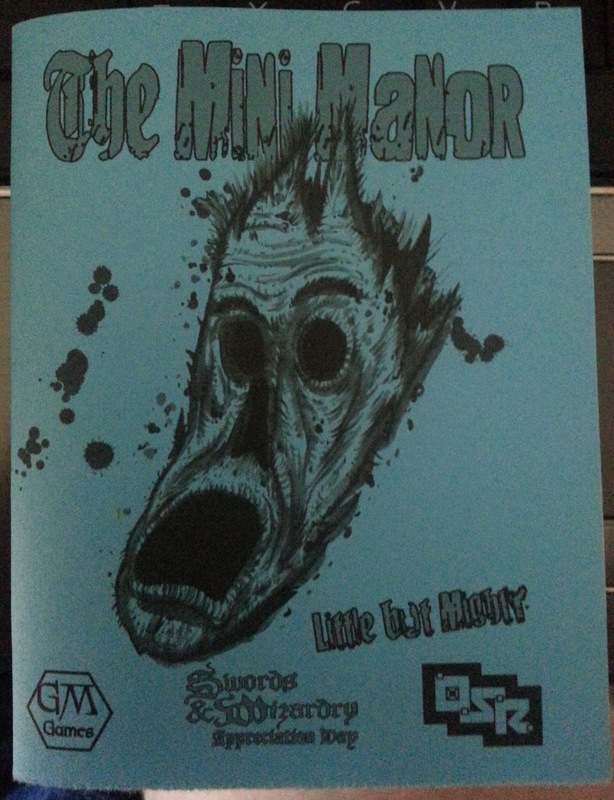 Written for Swords & Wizardry, as part of the Swords & Wizardry Appreciation Day festivities, Tim has crafted a fairly standard dungeon crawl into something with a bit more bite by using the modern sensibilities of the DIY zine culture. And I think that's a very good thing. We need to advance fantasy games beyond what they were like 30 years ago and make them into something that is recognizable by us now. In a way, that is what the dungeon and adventure designers of the 70s and 80s were doing with things like the Judges Guild books, or many of the Mayfair Games materials. It is good to see people making their own, rather than just trying to emulate what has gone on before. The Mini Manor lives up to its name, this dungeon has only eight rooms to it, but they are filled with an interesting take on monsters and situations. The characters wake up, naked, in a room after a night of partying and the action goes from there. There is a bit of a grindhouse feel to this module, so it isn't for the faint of heart (or the young). This is clearly labeled as a "mature audiences" module, and I think that it lives up to that label. This isn't a tee-hee 13-year old sniggering at naked breasts sort of mature, but the real deal. I won't spoil the module, because I think people should track it down and experience it for themselves. I may have to spring it on my Demon Codex players in a few levels (it says that the adventure works best with 5th level characters). In addition to the module itself, The Mini Manor has a number of new creatures (stated for Swords & Wizardry but easily adapted to any of the old school games), a handful of new magic items, a new spell and a new race. All definitely worth the price of admission. The best part is that you can get the PDF of this for free, however if you can track Tim down and get a physical copy it is worth the effort. I know that people have been asking when this was going to happen (I've had a lot of people asking about it in my social media streams). 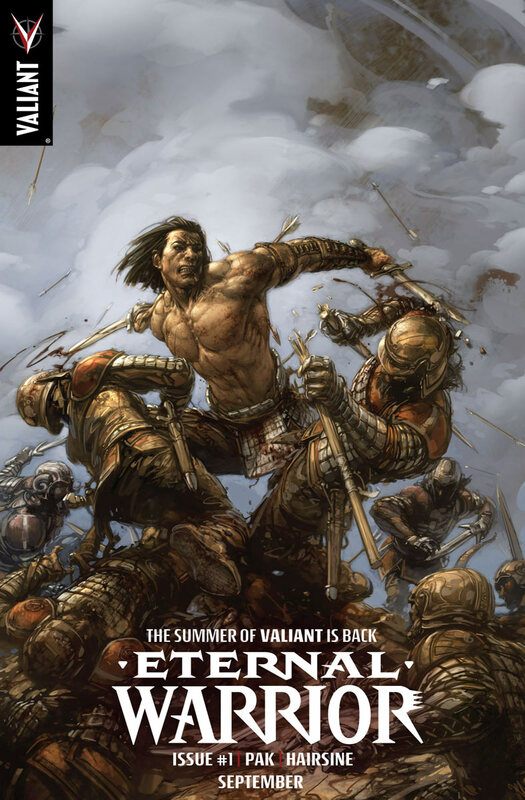 The Eternal Warrior is coming this summer from Valiant Comics, Greg Pak and Trevor Hairsine. You likely know Pak from his longtime work with Marvel Comic, and Hairsine is a great up and coming artist. 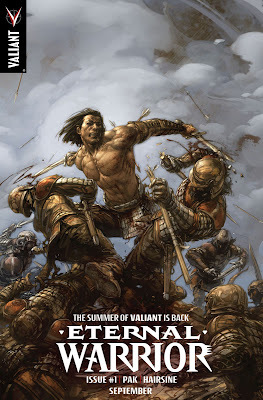 Greg Pak gave an exclusive interview to Comic Book Resources about the upcoming book. I talked with long time game designer and industry insider Sean Fannon on the Dorkland! Roundtable. He has worn a lot of hats in the gaming business and we tried to talk about as many of those hats as possible in the time that we had. It was a good talk and we managed to squeeze a lot of Sean's history and current doings into the interview. This is a term that was invented to describe people with a pathological fear of homosexuals — the kind of people who engage in acts of violence against gays. But the term was immediately extended to apply to anyone who opposed the homosexual activist agenda in any way. And you can guess how long it will now take before any group that speaks against "gay marriage" being identical to marriage will be attacked using the same tools that have been used against anti-abortion groups — RICO laws, for instance. This is a permanent fact of nature. Human beings are part of a long mammalian tradition of heterosexuality. No parthenogenic test tube procedure can alter what we, by nature, are. No surgery, no hormone injections, can change X to Y or make the distinction nonexistent. That a few individuals suffer from tragic genetic mixups does not affect the differences between genetically distinct males and females. Married people are doing something that is very, very hard — to combine the lives of a male and female, with all their physical and personality differences, into a stable relationship that persists across time. When they are able to create children together, married people then provide the role models for those children to learn how to become a man or a woman, and what to expect of their spouse when they themselves marry. When a heterosexual couple adopts children who are not their genetic offspring, they affirm the pattern of marriage and generously confer its blessings on children who might otherwise have been deprived of its benefits. With "gay marriage," the last shreds of meaning will be stripped away from marriage, with homosexuals finishing what faithless, selfish heterosexuals have begun. This is where your money goes when you buy one of his novel, support a movie or comic book made from his books, or any other project that has his name on it. Pure and simple, your money goes to support hate. I don't care what the reasons are, that money supports hate. In my book that makes you just as much of a bad person as Card himself. I don't care if you don't like this, but then the opinions of people who promote or support hate of others because of their gender, ethnicity, sexual preference or pretty much anything mean nothing to me. I don't want to see Ender's Game and I don't want to hear about your rationalizations. If you're looking for other articles about this, here's a good one. 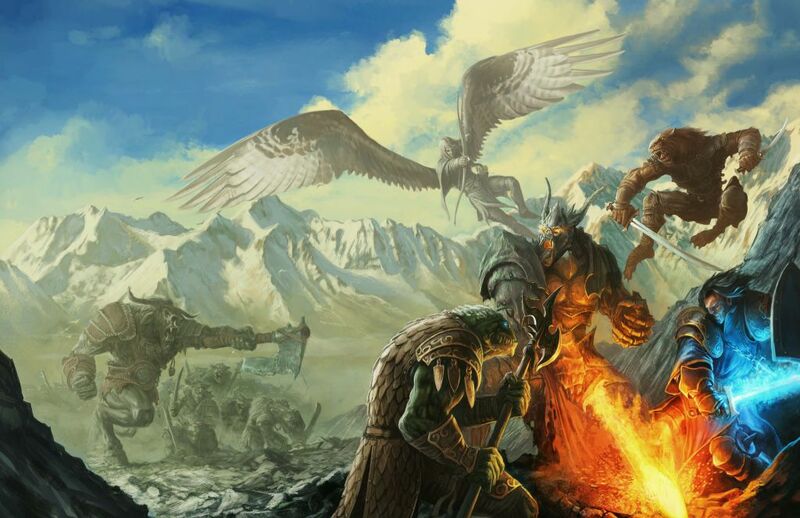 I spoke with designer (and soon to be publisher) Ross Watson about a number of things from his time working with companies like Games Workshop and Fantasy Flight Games on their licensed properties. There is a lot of wisdom in his answers about dealing with licensed properties. We also spent a lot of time talking about miniatures. It is a pretty well-known fact that I am not a miniatures person, but like the time spent with +Eddy Webb talking about LARPing, I did find it interesting to find out more about an aspect of gaming that I have never engaged with. One of the things that I like about these talks is that I am getting to talk about, and learn about, parts of the overall "stream" of what we all consider to be gaming that I've never dealt with before. Even if it isn't something that I would use in my gaming personally, it is still good to look behind the curtains and see the though processes of others and how they approach their styles of play. Hopefully this talk will be informative to someone who is an unknowledgeable about miniatures, and I hope that I asked just the right stupid questions.